Sometimes a news story breaks that we just have to tell you about. And this is one of those stories. 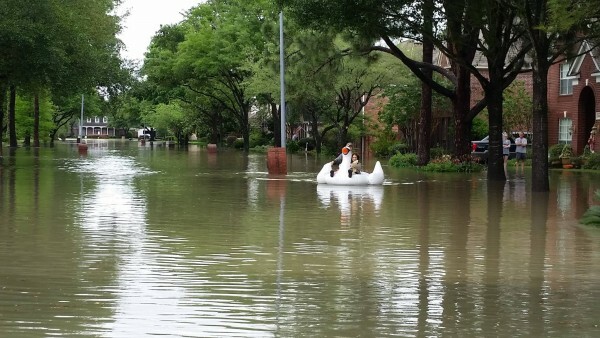 After all, how many women can say that they had to ride an inflatable swan through flood waters to assist in the delivery of a baby? American midwife Cathy Rude can. And this is her amazing story. I’m sure all midwives have seen their fair share of crazy births. But none are quite as kooky as this one. 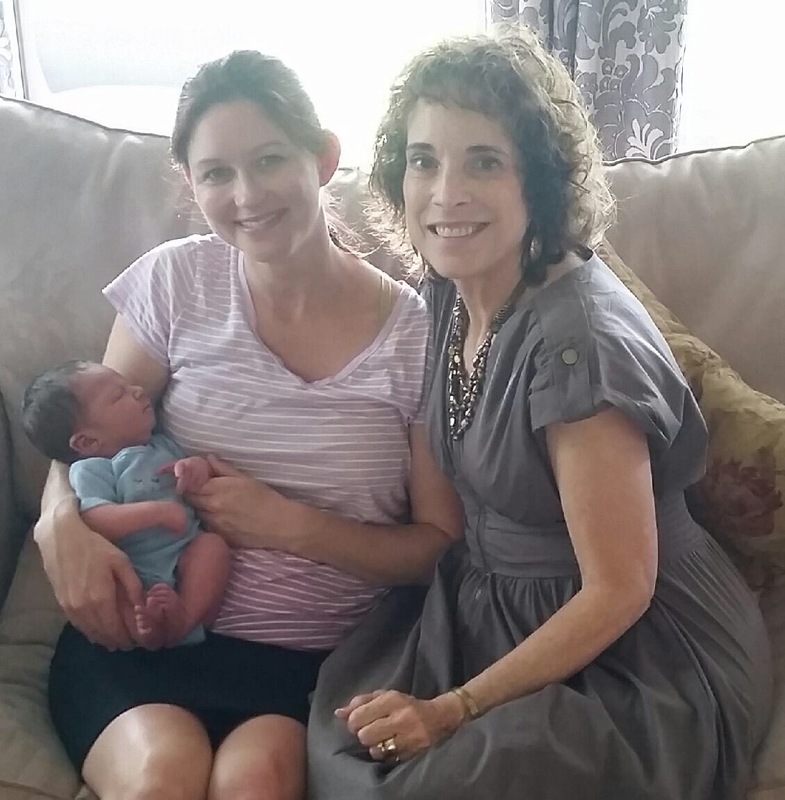 Cathy Rude, 63, from Texas didn’t quite go through hell, but definitely high water, in order to deliver her patient Andrea’s third child. What started as a typical flood ended in a birth story like no other. As Cathy watched heavy rain fill her street with water, Andrea arrived at the birth centre already six or seven centimetres dilated. Knowing Andrea’s history of fast labours, Cathy knew she had to make a move. But a ute sent to collect Cathy couldn’t make it through the deluge and all the kayaks were commandeered to help rescue those stuck in the flood waters. 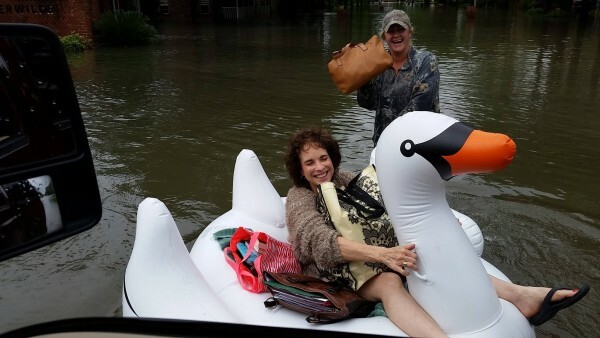 It was Cathy’s neighbour Celeste, out on a joy ride on her inflatable swan, who picked up Cathy and delivered her safely to the birthing centre on the back of the swan. What started with water also ended with water as Andrea delivered her baby boy in a water birth, with Cathy by her side. “But in a birth pool, not the floodwaters!” Cathy explains on Facebook. “Midwives will do anything to get to a birth!” Cathy added. Even if it means riding a swan.